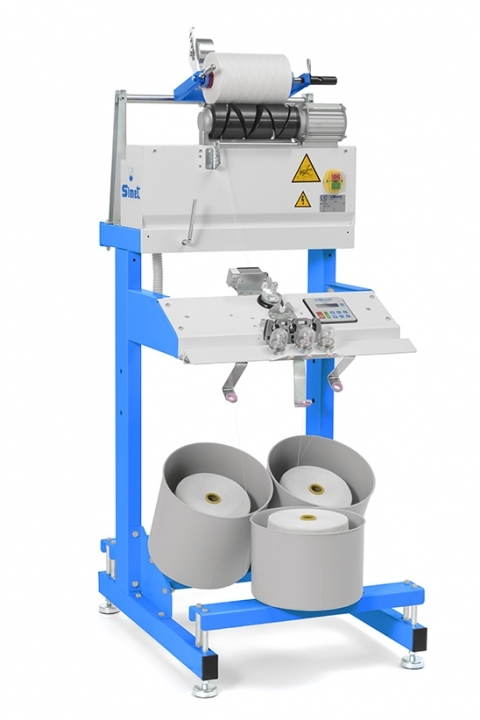 Speed can be adjusted electronically in each head, the different radial anti patterning system, the counterweight, the sliding of the cone holder and all yarn passages protected by ceramic, guarantee the achievement of excellent results for what concerns productivity, quality of the packages and of the yarn itself. In case of stop, the electronic braking of the grooved drum (adjustable) avoids that the package keeps on turning by inertia. The standard version can assemble up to three plies. It is available also a special configuration with creel in machine for four plies. For more than four plies it is available the separate creel. Tension can be adjusted independently in each ply. 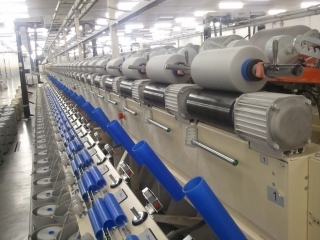 Then, each ply is controlled by a sensor, that in case of failure, lack of yarn or if the preset meters have been reached, transmits an impulse to the yarn cutter (with on/off switch) that cuts all the plies. 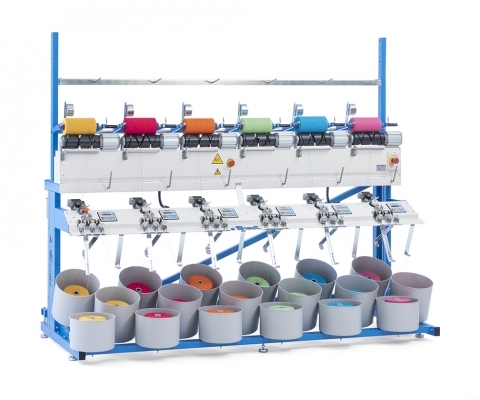 This model is designed and built for satisfying the requests of the customers that make small productions or use fine and delicate yarns, such as cashmere and mohair. The machine has one inverter per spindle and acceleration ramp controlled and adjustable in each spindle. It can be used as a normal winder. Each head works as an independent unit. Separate creel for more than 4 plies. Possibility to have head / tail option. Electronic multi function meter counter with the possiblity to adjust the percentage of meter correction.